Are you looking for carpet cleaners in Sheffield? 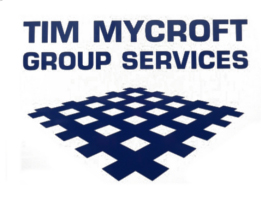 Then why not get in touch with Tim Mycroft Group Services. With over 30 years experience, we specialise in the superior cleaning and restoration of carpets and upholstery. Please read on to find out more, we are confident that you will not be disappointed with what we have to offer. 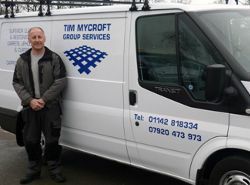 Formerly with Franklins of Sheffield, who have now closed after 130 years of trading, Tim Mycroft is pleased to announce he is taking over the South Yorkshire and Derbyshire areas of the business. We are extremely experienced when it comes to upholstery and carpet cleaning, and we can offer our services in your own home or in our factory. In addition to this we also offer a collection and delivery service. We offer a first class cleaning experience including suite cleaning to all of our clients, and for your added peace of mind all of our staff are highly trained and experienced. We also use the latest technology to thoroughly clean and dry your items, and produce great results. Please do not hesitate to get in touch with us today and find out more, we are always on hand and ready to help you in any way that we can. If you would like to find out more, please feel free to contact us today. You can call us on the number listed on this website. Alternatively, send us a message using the handy online form located on the Contact Us page and a member of our friendly team will get back to you as soon as possible. We look forward to hearing from you soon.